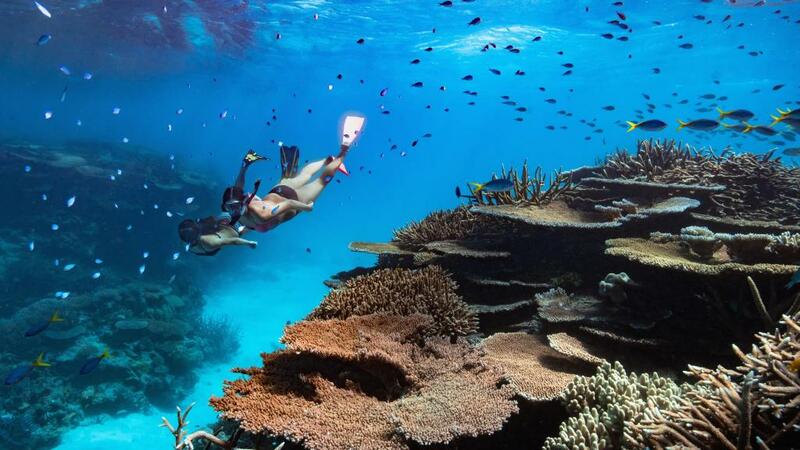 In a world first, Australia is trialling an electronic tracking system hoped to reduce the chance of tourists being left behind when diving in the Great Barrier Reef. Due to manual headcounts which are subject to human error, a number of visitors to the reef have disappeared over the last few decades. The new system uses a palm vein scanning device to detect the passengers onboard, tested in Cairns this week by the Tourist Onboard Management System (TOMS). According to Tony Raftis, TOMS International director, the device takes an infrared photo of thecustomers vein structure in their palm, using the information to identify anyone who wishes to access the boat. “The identification is nearly instantaneous so once you enrol that palm, it'll identify you or reject you almost immediately so it's very, very fast and secure. "The skipper at any time can see where all his passengers are and can make sure, before he leaves that site, that all his passengers are on the vessel." TOMS is also looking to expand the trial to include technology such as facial recognition software and Bluetooth-esque developments that will track tourists more precisely. "This is the first time we've had real time tracking of what passengers are doing on the vessel so the master of the vessel is at every moment fully aware of exactly where these people are," said Steve Moon from the Association of Marine Park Tourism Operators. Quick and totally painless, passengers would swipe their palms at the jetty upon boarding and scan again every time they hopped off the boat. "If an unfortunate incident does happen you know exactly where that person is at that moment, so it would be timesaving which in itself could be lifesaving," said Mr Moon.